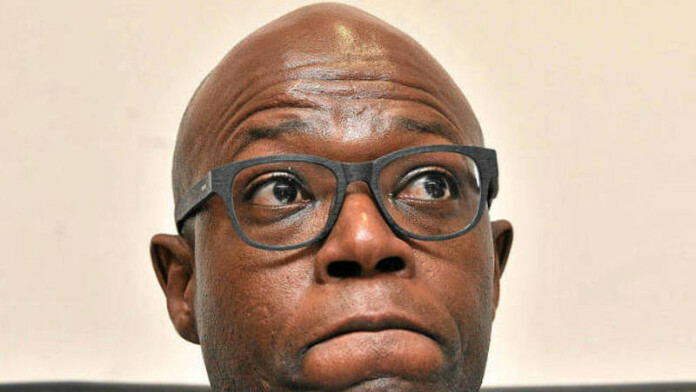 ESKOM’S Matshela Koko described Exxaro Resources’ new black economic empowerment (BEE) structure an “insult”, according to BusinessLive which cited a comment made on Twitter by the utility’s interim boss on January 3. On December 30, shareholders of Exxaro approved the R3.52bn repurchase of shares held in the firm’s empowerment company MS333, a development that paves the way for a replacement empowerment structure. Exxaro had earlier unveiled a new BEE scheme in which its existing 50.19% BEE structure was to be unwound and replaced with new BEE owning 30% of the group. Koko tweeted that Exxaro had decided “to show Eskom a finger instead of radically transforming and has no decency to even engage on this matter”, said BusinessLive. He also tweeted that “radical economic transformation was dealt a heavy blow by Exxaro”. Exxaro’s transaction comes at a time when the mining industry is waiting for details of the redrafted mining charter, which was widely expected to be gazetted in parliament during the last days of 2016. It is unknown if the redraft will recognise previous empowerment deals where the black-owned partners have either cashed out of their investment following a certain lock-in period – as in the case of Exxaro – or where the transaction failed. Eskom, the company to whom Exxaro sells the majority of its coal production, said it would not recognise Exxaro as a fully empowered company as its new empowerment structure sees 30% of its shares black-owned whereas previously it was 53% owned and controlled. A meeting was due to be called between the companies with Exxaro saying that it didn’t believe Eskom’s insistence on 50% plus one share black ownership was policy in order to supply the power utility. The political dynamic has changed worldwide. Not many people are left internationally/ domestically who will take an over-promoted, overpaid, intellectually inadequate individual seriously. His task is to ensure the utility he runs is profitable and efficient, not to make judgement calls on his suppliers who need to make money. Who cares what he thinks. If he damages the utility further, charge him with treason. But it is okay for Eskom to make us pay 30% more for electricity to support corruption. Stop the corruption and then we can create real jobs.